for 5 - 7 grade online test with direct evaluation. 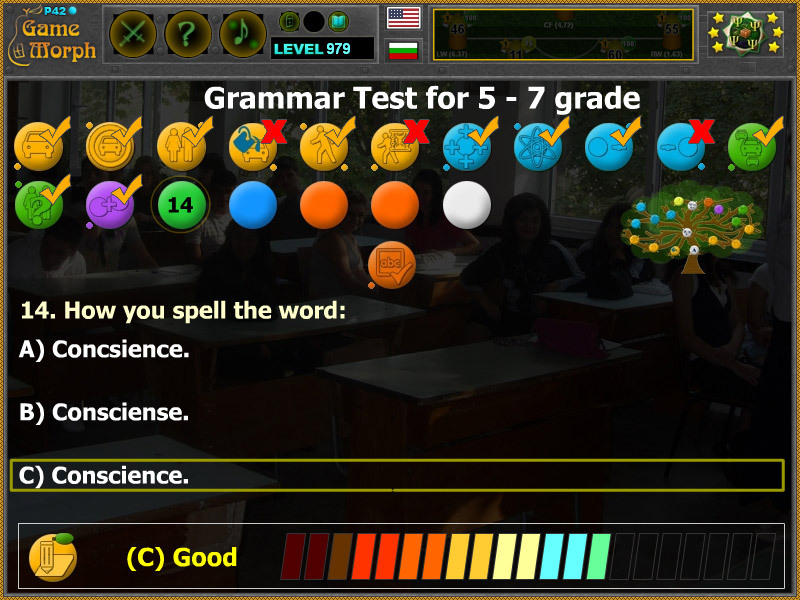 "Grammar Test" is a free online knowledge level test, about basic grammatical rules of the English language. A small 18 steps interactive test for desktop computers, laptops and tablets, which may be solved online and recieve a school mark. The test is part of the InteractiveLanguage Learning educational tools and include integrated evaluation system. It is cumulative with the Grammar Tree Game. How to play Grammar Test. Solving the test with good mark rewards +1 Knowledge Level. Here is a gameplay movie how to solve the test in YouTube. Here is the test in plain text, so you can copy and paste it om white sheet and make it printable. 1. Which of the words is a Noun? 2. Which of the words is a Pronoun? 3. Which of the words is a Personal Pronoun? 4. Which of the words is an Adjective? 5. Which of the words is a Verb? 6. Which of the words is an Adverb? 7. Which of the words is a Preposition? 8. Which is a Morpheme? 9. Which is a Prefix? 10. Which is a Suffix? 11. Which word is in the correct Plural form? 12. Which sentence is a question? B) You will make it. C) Did you make it? 13. Which sentence is an exclamation? 15. What is the fifteen letter of the English alphabet? 16. What is the opposite of the word Bad? A) I school to go. B) I go to school. C) Go to school I. 18. Which of the sentences is in future tense? B) I was playing games. C) I'm going to play games. 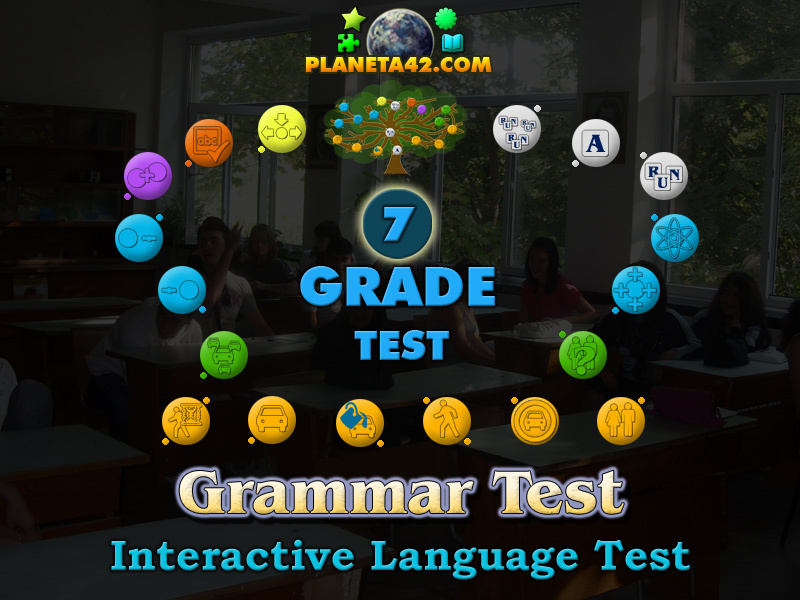 Labels: Grade Tests , English Tests , English Online Tests , Language Games , Education Games , Free Online Games.